Drupal to WP is an integration between Drupal and WordPress. There are a Drupal module, Drupal to WP, and a WordPress plugin, Drupal to WP XML-RPC. This plugin adds some Multisite-specific functions to WordPress XML-RPC interface (http://yourdomain.com/xmlrpc.php). Its neccesary to activate mcrypt support in PHP. Upload `drupaltowp_xmlrpc` folder to the `wp-content/plugins` directory in your WordPress multisite installation. Activate the plugin in your Administration Panel. Check ‘Enable the WordPress, Movable Type, MetaWeblog and Blogger XML-RPC publishing protocols’ through ‘Writing’ menu and click ‘Save Changes’. Open file `drupaltowp_xmlrpc.php` and copy the function `drupaltowp_encrypt_password` to your code. Define a key for encrypting your passwords. Max 20 characters. If plugin works in your WP version, send your vote and push works in the compability form. BuddyPress Activity tab is used to output a list of sitewide, member or member’s friends activity. This plugin gets tags from each new blog posts activity and shows the most commonly used. The widget configuration and tags style is based on Simple Tags plugin by momo360modena. BuddyPress Activity Tags doesn’t work with single WordPress installation or Multisite installation without BuddyPress. It must be activated for all sites using “network activate” in the Administration Panel. 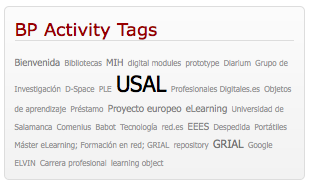 Customizable activity tags page URI. Customizable style sheet for widget and results page. Select how to display tags. The size and color of each tag is determined by how many times that particular tag has been assigned to posts. If plugin works in your WP version, send your vote and push works in the compatibility form. Easily search through all blogs into your WordPress Multisite posts by post title, post content or post author. Multisite Global Search doesn’t work with single WordPress installation and it must be activated for all sites using “network activate” in the plugins admin panel. 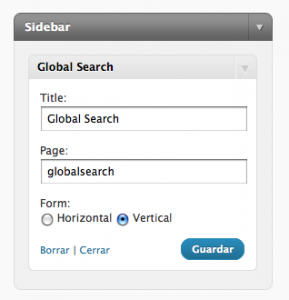 This plugin is based on my other global search plugin, WPMU Global Search. It has some new features but if you want to keep using the older version of WordPress MU, you can install my other plugin. If you have created your own language pack, or have an update of an existing one, you can send gettext .po and .mo files to me so that I can bundle it into Multisite Global Search. The MySQL user needs to be assigned the ability to “create views” and “drop views” in WordPress database. Permalink structure must be diferent to default when widget is activated in a blog of your network. Search on posts and pages. Put search form into your code. Use type attribute to select vertical form or horizontal form. Default attribute value: vertical. Use page attribute to change results page URI. 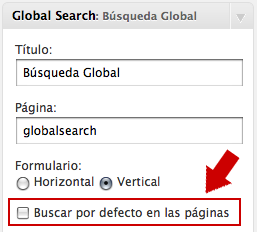 Default attribute value: globalsearch. Search results will be showed in http://your_blog_URL/multisite-search. Multisite Global Search Widget. Show a search form in your sidebar. Customizable relative URI for results page. Two different form types, vertical and horizontal. 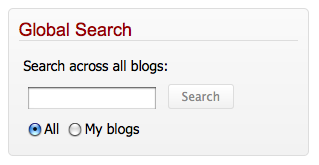 Search across all network blogs or only in your blogs if you are logged. Entries on every site across your installation appear in search results immediately after publication. Receive results from your complete blog network, even sites you do not own or control.